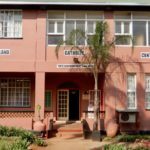 The Swaziland Council of Catholic Men (SCCM) was invited to this St. Johannes Sodality conference in the Vicariate of Ingwavuma. The SCCM came to the conference in a reasonable number to the Conference. The members of the Council in all were Twenty-Two. 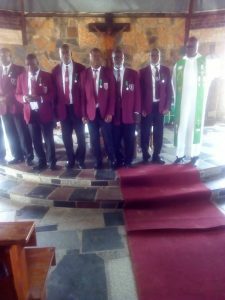 Individual members of the St. Joseph Sodality attended the conference as individual members of the SCCM and as well as members of the St. Joseph Sodality in Swaziland. 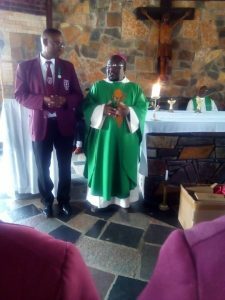 The delegation from Swaziland was led by Father Rodney Khuluse the Regina Mundi Parish Priest in Piggs Peak. 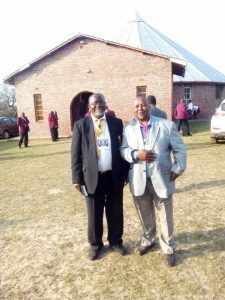 The president of the SCCM Telephone Dlamini (R) and president of the St. Joseph Sodality Maduduza Zwane (L) were among the group of delegates from Swaziland. There was also a delegation from Mozambique which was led by Brother Desiderio. The theme of the conference was “Hamba Nalomntwana Ungincelisele Yena Ngizakukhokhela”. • To encourage Catholic men to be closer to Jesus Christ because when talking about St. Johannes one cannot avoid mentioning Jesus Christ and the Virgin Mary. • To inculcate in catholic men the spirit of patience and perseverance as St. Johannes was patient and persevered when harassed and tortured. The president highlighted achievements that have been acquired by the Sodality since its formations. 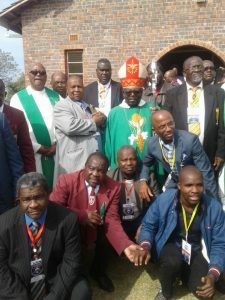 These include an increase in membership, establishment of branches at Ndumo, Manguzi and Jozini, unity among members of the sodality, celebrating the feasts of St. Johannes, attending pilgrimages and Kevelear, Eswatini and Mozambique, assisted in the empowerment of the church such as the youth conference and ordination of priests. Father Vusi Mthembu (Standing with the New Executive Members below) was also one of the speakers at the conference. His emphasis was mainly on the men being transparent in their families, men must know the homes of the priests they work with and that men must be close to the priests as much as possible so that if a priest has some problems he can share it with men he trusts. Bishop S. M. Jwara CMM explained to the conference the human development. He mentioned that the behaviour of a person could be linked on how the person was borne and raised. The critical age that is prone to crisis is at 35 where you see several divorces taking place. At the age towards 70, men have the tendency of appreciating younger females. This is where most of the members of the sodality are. They must therefore be cautious and vigilant to enable their marriages intact. At the end of the conference the delegates from Swaziland were asked to express their feelings about the conference. 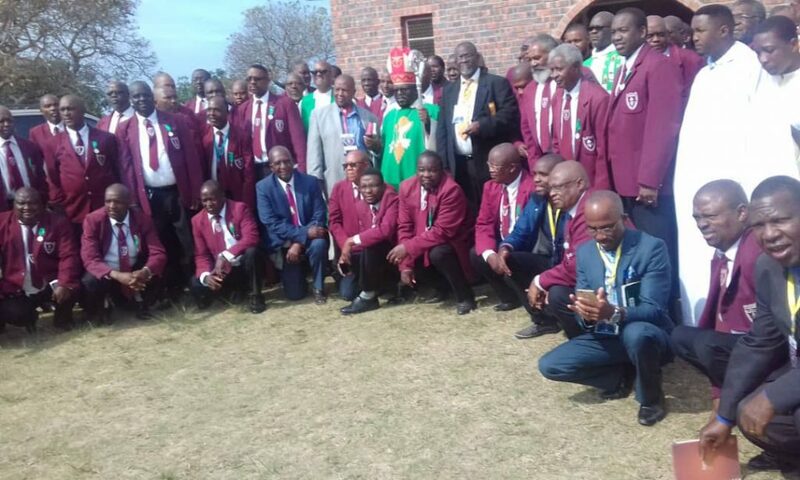 The president of the SCCM assigned Maduduza Zwane to thank the St. Johannes sodality to extend their appreciation for having been invited to this eventful and inspirational conference. 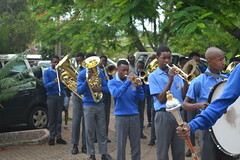 Mr. Zwane also highlighted what his St. Joseph has achieved and doing. This was highly appreciated by the conference. Brother Desiderio (on the extreme right on the photo) spoke on behalf of the Mozambique delegation. He prayed that the men’s organisations in South Africa and Swaziland should assist the Mozambique counterparts. They were not coming from a Parish but were a merely a community of men who are interested in the welfare of the church. ← Which is more important to God- clean hands or a clean mind and heart?